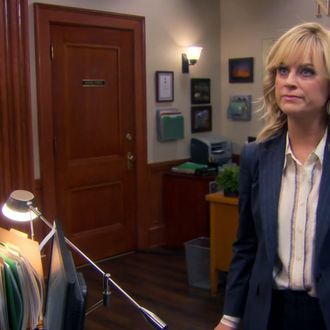 Lastly, Schur responded to the sentiment that we wrote about yesterday, that next season should be Parks’ last: “It’s fairly likely that next year will be the last. The natural rhythm of the show and the big creative jump we take at the end of this season certainly suggests that we’re moving in that direction.” Read the full, thorough interview here and find out how the Jon Hamm cameo happened, what it was like working with Ginuwine, and the possibility of the Cones of Dunshire becoming a game you can actually play. Schur doesn’t answer any futurist questions about 2017, however, so hold tight, flying-car enthusiasts.